Showing results for tags 'furniture'. 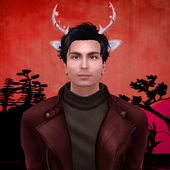 I never know how to start these posts but maybe I should give you a little background - I am Rhae and this is my first year on Second Life. About three or four of the nine months I've been on SL, I've been away, but I've always been curious about building mesh. Granted, part of the reason I started wanting to do it was because I couldn't always find what I want, but I've finally decided to take the initiative and start by, well, getting Blender. I've looked up tutorials, scrolled through pages, but all of it is too advanced for someone who doesn't even know how to adjust the camera view yet. I've spent few minutes, learned few of the basics, and plan to keep at it until I am comfortable with the controls. But, as someone with anxiety, the fact that I don't even know what the next step is - is a little unsettling to me. If I asked you for a guide, for a 101, for a list of what you should get or what you should learn first - what would you include in it? I feel at loss, because my brain is shouting words I've read over and over again like 'rigging' and 'texturing' and 'baking' and 'developers kit' when I don't even know what I would need to start. I don't want to make clothes, for example, that are for standard sizes (alone). It feels a lot like attempting to learn a language without knowing the alphabets. And I don't know, I want a place to start. A list of essential programs and add-ons and items as well as a list of, well, what you should learn. Obviously, once I cover the basic and learn to be comfortable with it, the rest would come from tutorials and blogs and forum posts but... I'd benefit from having a place to start and others might, too! Thank you and I am sorry for rambling. okay so... i have nPose, and i have AVsitter (version 2 and version 1), and i have SitTargetHelper.... but all i want to do is write a SIMPLE script that takes ONE avatar sitting on ONE thing, moves it around, and can save that as a new sit target. now, i can get the seated avatar's link position and rotation no problem. and i can change those and scoot it around. and i have scripts and functions that can get an ACCURATE sit target from the avatar seated on a TOTALLY SEPARATE prim/object... but i haven't found any that can get it from the avatar actually linked TO it. and im bad at math in general, but when you start mathing vectors and rotations and quaternions and radians... OMG! as for avsitter... it apparently doesn't even use llSitTarget at all, but grabs the avatar and sticks it in position based on stored settings. (and as for npose, my eyes were so bleary from peering at avsit code, i just couldn't... :X ) does anybody know this forumula? if it's not proprietary to you, can you tell me what it is? if it IS proprietary, how much you selling it for? Hi, I am really frustrated. I buy furniture that is supposed to have working scripts but when I Rez them they do not work. I checked my land and the land is set to allow everyone to run scripts. When I go to Build/Scripts/ the option to select Set Srcipts To Running is not clickable. How come? If I have to get new script to put in my furniture, how do I do it? I have beach chairs that work, how come the other furniture doesn’t work? What are some stores that offer 3-person cuddle furniture? Pretty much the thread title. I've been trying to find some nice three-person furniture (any furniture really; Beds, recliners, couches.. Adult or PG) with.. middling luck at best. Not really looking for anything fancy, don't really need something with 900 animations and a built in wifi toaster oven, just decent looking mesh models that have a few nice animations. Bonus if they offer FFF with FFM, though that seems even more rare. I've checked a couple places already, like Dutchie, I was hoping however that someone here might have looked for similar items and have some store suggestions. I found a useful little wheeled stool on Marketplace that's scripted as a vehicle. You can move it round with the arrow keys. Animations make it look like you're moving it with your feet. When you get off, it goes back to its home position. That ought to be a common feature for wheeled office chairs. Bar stools should let you rotate. Unfortunately, the script isn't very good. You can't turn in place. The turning radius is huge, about 5 meters. I wrote to the creator asking for a fix, or at least mod permissions so I can fix it. Good project for someone selling furniture to write a better script for this. ok I can't figure out how to place furniture and get it to stop hovering, and stay where I want it... anyone? Good vendors for decor furniture? Anyone know of a few good outlets for Prop furniture? I'm looking for things like wardrobes, closets, dressers, filler items, etc. I've found a few things from places like Primpossible. Trouble is I don't really need a thousand~ linden closet with 600+ animations I'm never going to use. Simple well made mesh props would be enough, or showers/tubs/sinks with a couple good animations for a decent price. Furniture - Is there a furniture thread? Is there a furniture thread or forum? I have my first home and was looking for links to good furniture and items for my home. I'm sure there must be a thread like this but i cant find one. THE SAVOIR FAIRE MONTHLY EVENT IS OPEN FOR ROUND 2 UNTIL OCT. 28TH! !